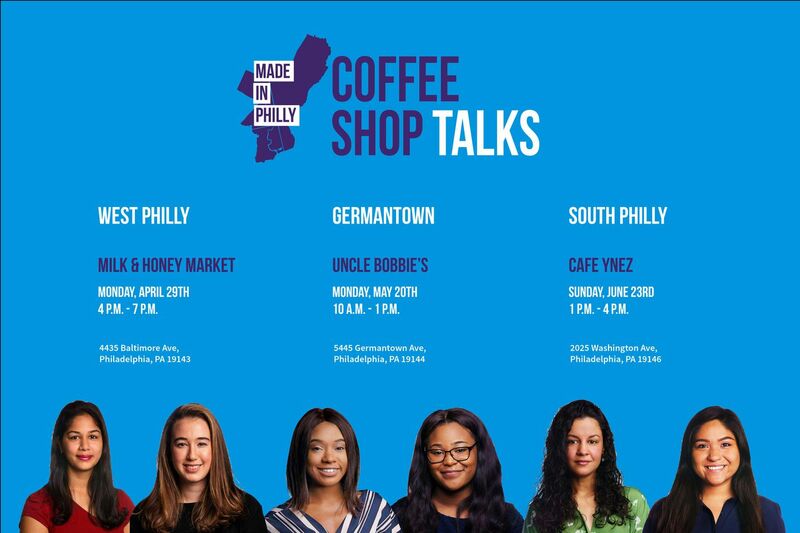 As part of the Made In Philly project, The Philadelphia Inquirer's Lenfest fellows will be hosting coffee shop conversations around the city. When the Inquirer’s Lenfest Fellows launched the Made In Philly project last December, they hoped to spotlight the many stories that are often overlooked and untold — stories about hard-working Philadelphians striving to implement solutions for community issues, whether it’s a barber teaching kids the trade to give them skills for a legal hustle, or a millennial building a gallery to offer therapy and healing for young women, minorities, and non-binary people. Now, they’re bringing the conversation to you. And they want to listen. As the Fellows strive to give a platform to diverse voices, they will start visiting coffee shops around the city in April, to converse with community members about local changemakers and solutions being implemented. Join the Fellows for conversation over a steamy, caffeinated beverage. The first one is on us! Three pop-ups will happen this spring — one each month — in different neighborhoods. Please bring your ideas, your struggles, your solutions, and your stories. We can’t wait to hear them. April 29 from 4 p.m. to 7 p.m @ Milk and Honey Market in West Philadelphia (4435 Baltimore Ave) — Share the event with your Facebook friends. May 20 from 10 a.m. to 1 p.m @ Uncle Bobbie’s in Germantown (5445 Germantown Ave) — Share the event with your Facebook friends. June 23 from 1 p.m. to 4 p.m @ Café Ynez in South Philadelphia (2025 Washington Ave) — Share the event with your Facebook friends.